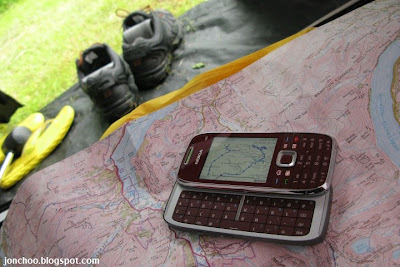 Like the Nokia E71 and E66, the E75 is one of Nokia's now many Series 60 smartphones to be supplied with a built-in GPS receiver with A-GPS and digital compass functionality. 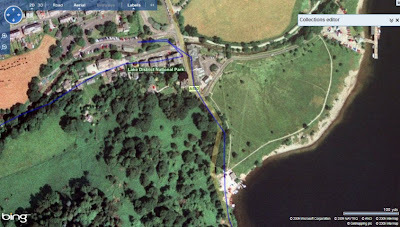 The GPS can also be assisted via the downloading of ephemeris data that helps with speed. Like the E66, it took me around a minute to get a fix from cold boot on a clear day, though it can take up to a couple of minutes in cloudy days. It also happens to work from about 3 feet in doors in a clear day. I am not sure which GPS receiver chipset the E75 uses, but it works just as well as my SiRFstarIII powered Navman B10. 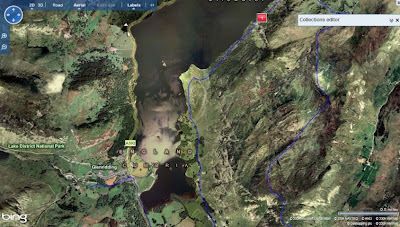 I recently took the E75 to the Lake District in Cumbria as my GPS companion. I also have my trusty E51 and Navman B10 which I keep in a dry sack as a backup device. The obvious advantage of having it the E75 is it is integrated and you do not have to worry about carrying multiple devices. On the downside it appears to run out of battery faster than my E51+B10 combination, when it comes to navigation. Still it lasted more than seven hours (with the phone portion off) before the battery gave up, which is good enough for a day's walk. 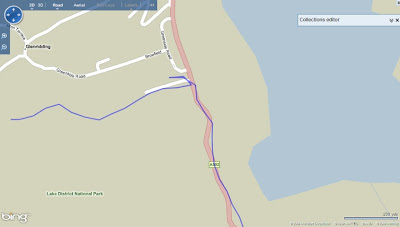 It works with Nokia Maps 2.0 and ViewRanger, the application which I use to the test the E75's GPS navigation capabilities. I found the amount of the time to get fix from cold boot to be about on par with most devices with built-in GPS receiver, in that not so great but acceptable. 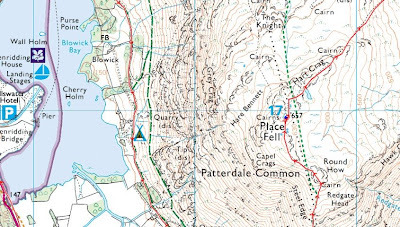 Without resorting to A-GPS, the receiver took around three minutes to get a fix under a cloudy day (it was very cloudy in the Lakes when we were there). Once a fix is gained it retains to the fix pretty well. A dedicated application GPS Data allows you to check your position, accuracy level, altitude, speed of movement, trip distance, satellite status, calibrate the altitude, selecting the positioning method (GPS only, Assisted-based, Bluetooth-GPS and Network based) and other advance settings. The battery life of the E75's on GPS is no match for my E51 and B10 combo, but it is still far better than I initially anticipated. With the phone but turn off, the E75 lasted more than seven hours. Obviously your mileage may wary: lowering the brightness level and decreasing the amount of time before the phone switches off the display will all help decrease the amount of power needed by the E75. The accuracy of the E75 based on my experience is around 10-20 metre, which is pretty darn accurate for a none-dedicated GPS receiver. As the E75 isn't designed to be a rugged and waterproof device, the E75 stayed tucked away inside my jacket or trousers for most of the time, which does cause the accuracy to suffer a bit. A little bit of very light rain and mist won't damage it, but I rather not test it further seeing that I do not own this particular unit. 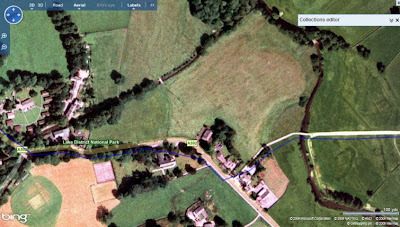 I have included a number of screenshots of the track that the E75 recorded via ViewRanger where you can judge the accuracy yourself. I personally think it did fine. Obviously the hardware is only good if paired with a software that takes full advantage of it, and in this case the E75 comes with Nokia Maps 2.0 (an excellent street based mapping software). It is also compatible with Google Maps, though with Nokia Maps I do not see why you would need it (unless online search is important to you). 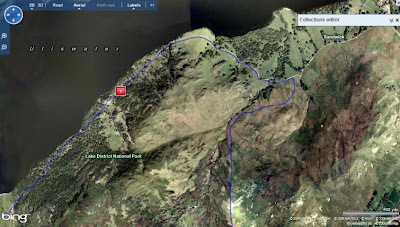 If you enjoy walking or hiking as I do, make sure you buy Augmentra's brilliant ViewRanger (detailed review here). For £25, the Ordnance Survey GB National Park Landranger 1:50k bundle offers a ridiculous amount of great value for money for those seeking to explore Britain's many beautiful National Parks. As the E75's GPS navigation performance (with better battery life and slightly better accuracy) is similar to the E66, the conclusion is exactly the same. I do not drive so I won't comment about the E75's performance when it comes to providing turn by turn directions using programs like Nokia Maps - but I do think it will suffice. 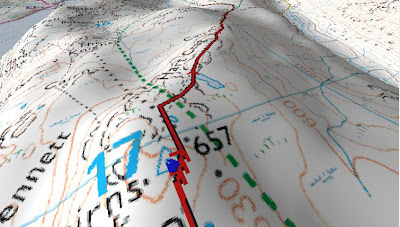 As far as hiking and trekking is concern, if you do not need super accurate performance then I see no problem with using the E75 as your navigational platform, as long as you can dismiss its margin of error. I find the E75 rather handy to have one with me at all times. It is a blessing having not to worry about packing (and charging) my B10 every other day. 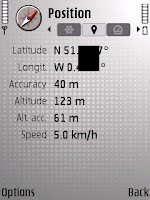 Where can you enable/disable a-gps usage in e75? Go to GPS Data, then 'Option' and select 'Positioning Settings'. Then select 'Positioning Methods'. Here you can enable or disable A-GPS and other positioning methods like BT GPS. The Nokia E75 offers a compact design while managing to fit in a full QWERTY keyboard. Hello, I tried to enable my positioning method .. the problem is that I found only Blutooth GPS accesses point .. there's no assisted GPS option .. what can I do .. ? I have upgraded my device firmware and updated the maps application .. It was a great model when it was released to the market, like all the nkia products.